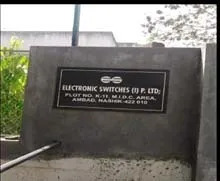 Established in the year 1989, we, “Electronic Switches India Private Limited”, have successfully placed ourselves amidst the leading manufacturers, exporters and suppliers of a comprehensive gamut of Automation Sensors & Products. These products are widely used in non contact sensing, switching & controlling several automatic processes, safety & security applications, and to improve product quality and production. Backed by a well-facilitated infrastructure, we have been able to meet the ever-growing demands of the clients. 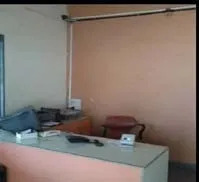 Our professionals judiciously utilize all the resources and amenities for manufacturing excellent quality products, which are in accordance with defined industry standards..We also participate in several exhibitions held all over India so that our customers can view or test function of products like Sensor, Safety Guard, Safety Light Curtains, Area Sensor, Hand Guard, Safety Barrier, Array Sensor, Finger Protection, Infra Red Sensors, Slot Senators, Ir Sensors, Fork Sensor, Label Sensor, Window Sensor, Diffuse Scan Sensor, Through Beam Sensor, Retroreflective Scan Sensor, Reflective Sensor, Mark Sensor, Registration Mark Sensor, Anti Crane Collision Switch, Proximity Controller, Flame Sensor. These attributes have allowed us to build vast customer base all across the nation. We export our products all around the world. Under the guidance of our mentor, “Mr. Pradeep Tatwawadi”, we have been able to stand at this enviable position in the market. His rich experience & massive knowledge have allowed us to gain the trust of our valued clients. Manufacturing and Trading of Automation Sensors and Products. Inductive / Capacitive Proximity Switches. Custom built Microprocessor based Controllers. Electronic Safety Guards for Power Presses. 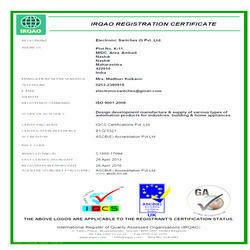 All the above products that we manufacture are a result of our rigorous in-house research and development activities. Apart from above products, the Company has also developed Microprocessor based special systems based on customer provided designs / specifications. Standard Products : The Company has defined it’s own specifications in case of standard products for automation purposes in industry, building as well as home applications. Met to Order Products : Various Sensors and systems are manufactured as per customer requirement. 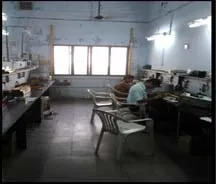 With its well equipped lab and qualified personnel the Company is able to develop the products as per customer requirement in its Research & Development Department. Expiry Date: 26th April 2016. The unit at Nashik has all the modern facilities and test set up to maintain and attain the required quality standards. The assemblers are all technical people who take utmost care and necessary precautions while carrying out their duty. It’s team of R & D engineers continuously work towards the development of existing product range as well as introduction of new products. Qualified R & D engineers possessing sound hardware knowledge and programming skill and having expertise in handling custom built projects, carry out the execution of such special products. Customer support is provided by company’s own service engineers as well as appointed dealers. The Company has achieved an excellent ability to develop any type of automation product. Now, it is exploring opportunities for marketing its products all over the world. It is using each and every media of communication to advertise and thereby create awareness about it’s products. We believe in total customer satisfaction. The customer should get the right product at the right time. To achieve this we have a strong Dealer Network spread throughout India in various industrial pockets. These dealers are thoroughly trained for marketing our products as well as for providing customer support and service. They are provided with timely information and are kept updated with the latest developments. Our mission is to become the most promising manufacturers of next generation sensors, and owing to our well integrated work set up we are able to achieve the objective of being at the fore of the industry. Our company premises are sprawling across a large area and boast unrivalled production capacity. Besides, our highly advanced quality testing laboratories and hyper connected distribution module equips us to incorporate the pursuit of excellence. Since the inception, our product designs are aimed towards superiority and our developed stringent quality policy is at the foremost stage of achieving the vision of quality certified entity. 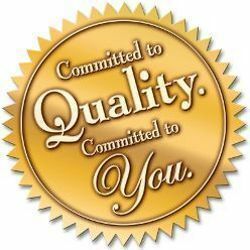 We make sure to abide to the highest standards of manufacturing and quality testing. And, our team of expert quality controllers undertakes the responsibility to verify each of the equipments on the basis of its functionality, safety and durability. Our team members are highly passionate and put every possible effort to give their best to our valued patronage. 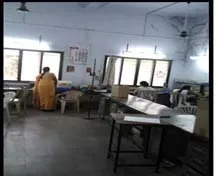 Our team comprises of highly experienced and uniquely skilled professionals who are established R&D experts, manufacturing specialist, administrative officers, quality control supervisors and trained workforce. In addition, we conduct regular training and brainstorming sessions to increase our share of innovation in the competitive industry. Our people are committed to exceed the clients’ expectations, therefore we are putting special emphasis on timely production, competitive costs and innovative product designs. Our products stand for superior levels of safety and protection, and we take pride of our allied association with recognized vendor base, that helped us to produce unmatched quality products featuring ISO certification and consummate benefits.